Two large impact basins, including the 450-kilometer-wide (280-mile) Odysseus basin (at the top), mark the face of Saturn's moon Tethys. 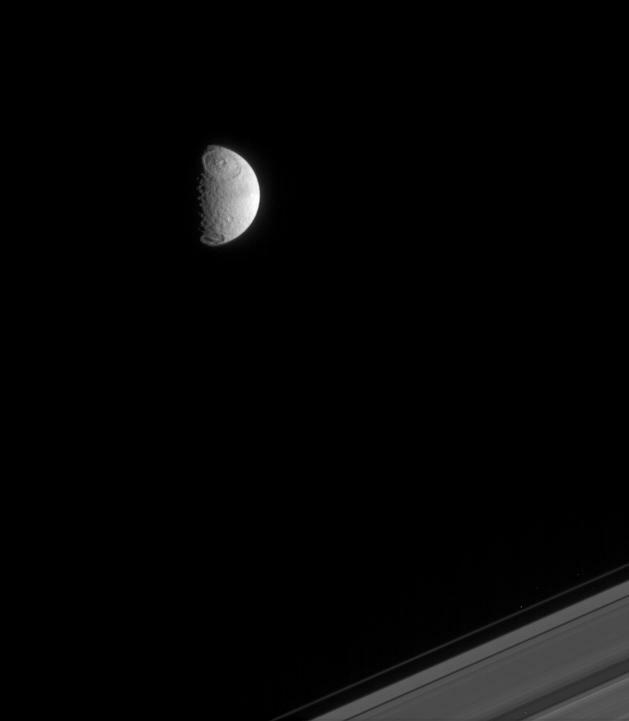 The outer edge of Saturn's rings is visible at the lower right. 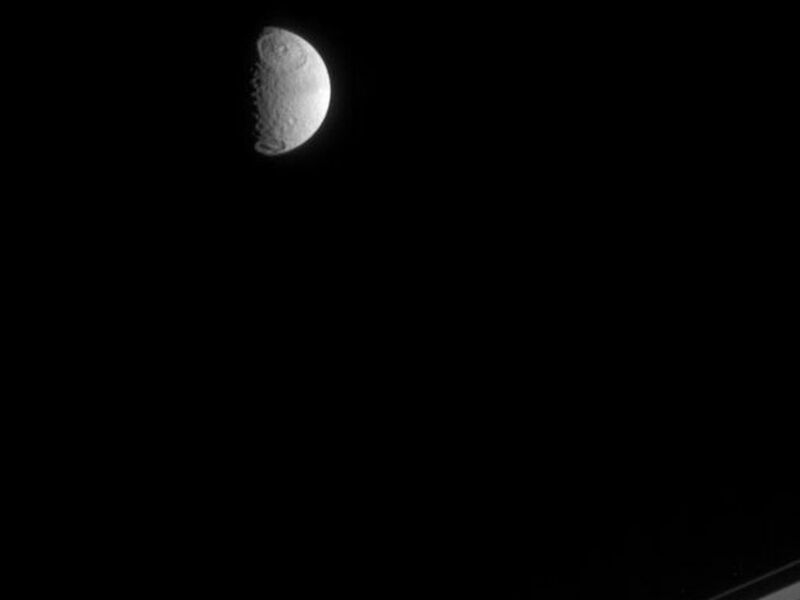 Just discernible is a slight north-south difference in brightness across Tethys' surface. North on Tethys is up and tilted about 20 degrees to the left. 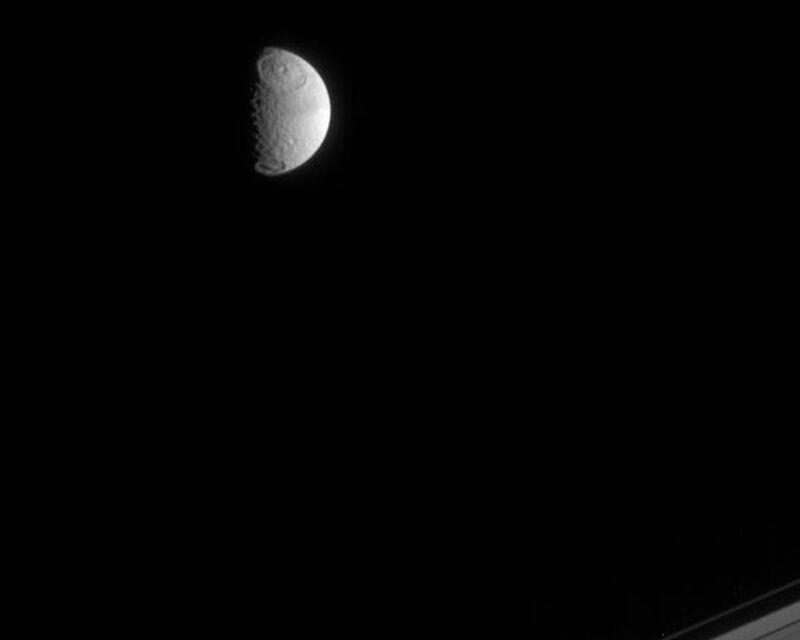 This view shows principally the anti-Saturn hemisphere of Tethys. Tethys is 1,071 kilometers (665 miles) across. 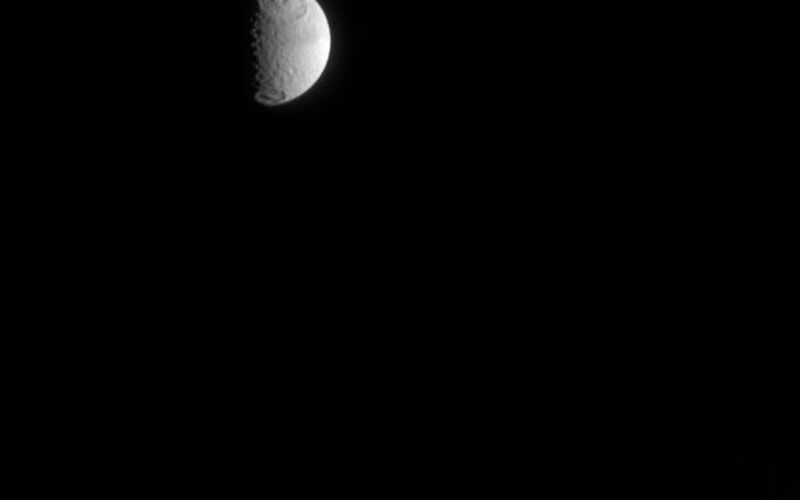 The image was taken in visible light with the Cassini spacecraft narrow-angle camera on April 3, 2005, at a distance of approximately 1.8 million kilometers (1.1 million miles) from Tethys and at a Sun-Tethys-spacecraft, or phase angle of 80 degrees. The image scale is 11 kilometers (7 miles) per pixel.